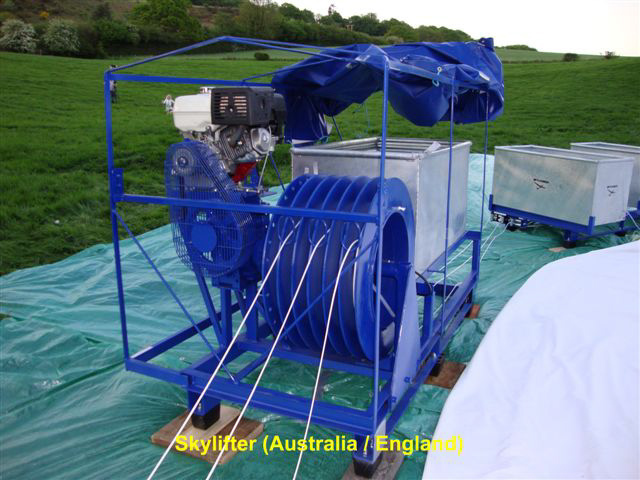 Skylaunch were commisioned to design and build this winch for a specilist company in Australia. It is a relatively simple, low powered winch for raising and lowering helium filled balloons. 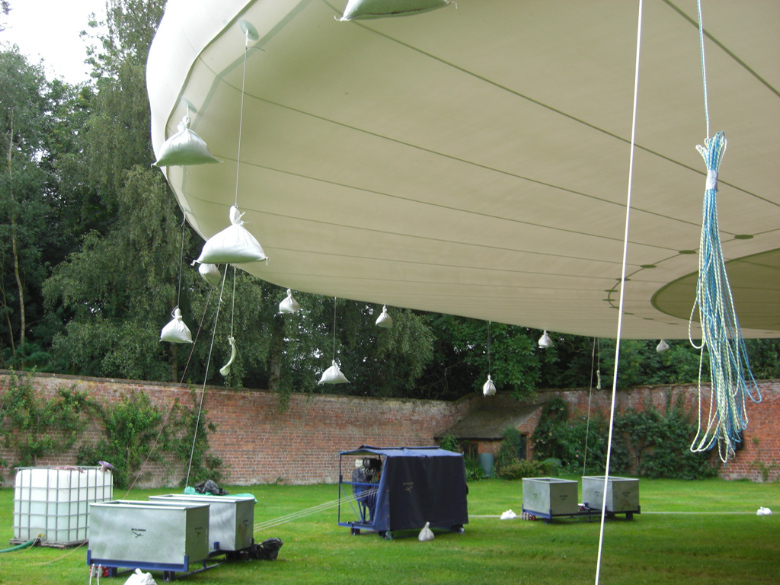 The drum is split into 6 segments to allow 6 separate cables that are attached to different parts of the balloon to be wound in at the same time. 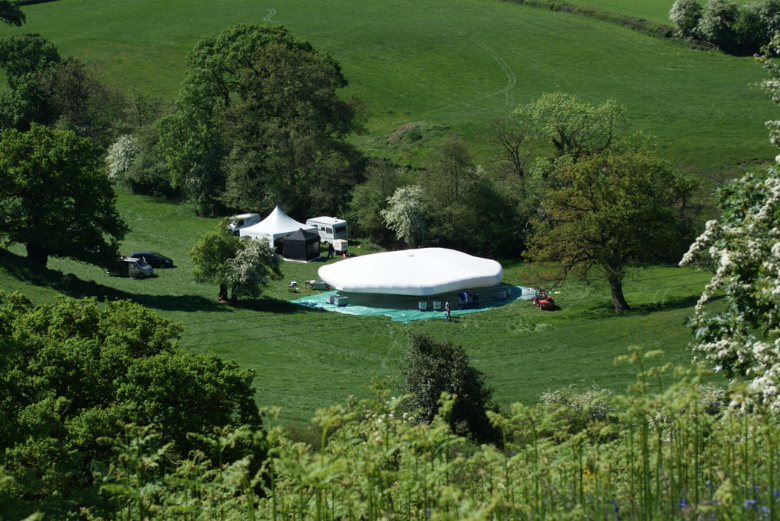 Vikki was the project name for the creation of the 18 metre diameter tethered aerostat pictured below. 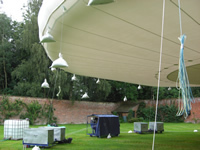 The winch system was used to raise and lower the aerostat and a pod was slung below.